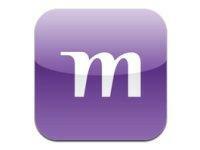 After Naukri made its appearance in the iTunes Store, it is time for Monster.com to enter your iDevices. The web service now lets you hunt for your dream job on the move from your iPad, iPod Touch, or iPhone. Apart from applying for jobs, you can also avail "Career Services" from the website, which includes paid services such as XpressResume+, RightResume, Career Booster, ResumeHighlighter, and VSkills Certification. You can also check out which employers have viewed your profile. Just like its web-based version, you can hunt for jobs in India as well as in other countries including the Gulf, Singapore, Malaysia, Hong Kong, Indonesia, Thailand, Philippines, and Vietnam. The only downer is that you can't update your resume; you can only view your profile. The app for Android users has been available for a while now, and can be accessed here. Platform: iOS 5 or above.